Title: Swear You Won't Tell? 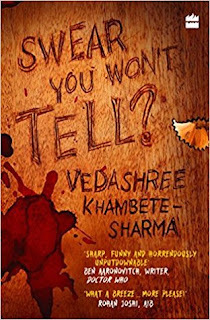 Blurb Description: When Mumbai Daily journalist Avantika Pandit is asked to interview her childhood nemesis Aisha Juneja, she knows it'll like an express bikini wax - painful, but quick. Then Laxmi, her former best friend, shows up dead. And suddenly Avantika finds herself turning into the reporter she used to be - a nosy little newshound with the self-preservation instincts of a dodo. 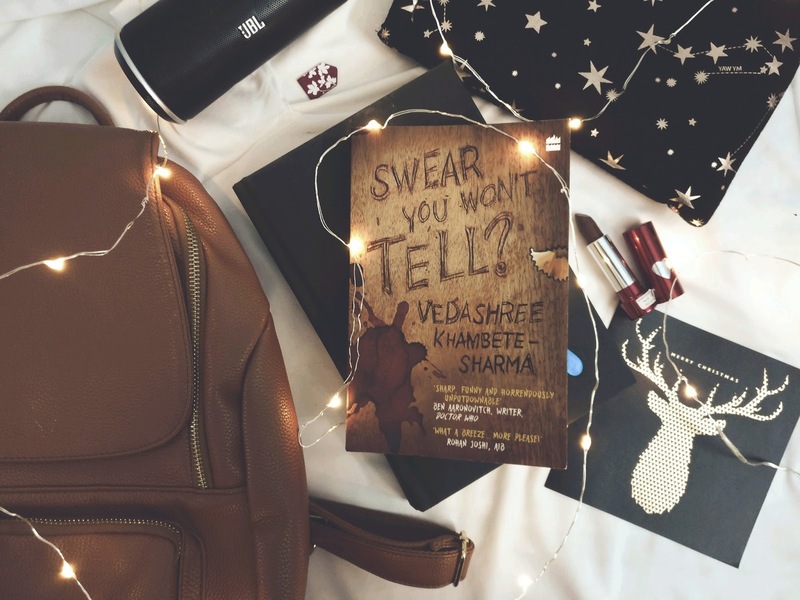 Now, she has to meet old acquaintances she'd hoped never to run into again, try to unravel the puzzle of Laxmi's death, and ask the questions nobody seems to be asking: Who is the man Laxmi was in love with? Why hasn't anybody heard of him? What does he have to do with her death? The answers could get her killed. But if the choice is between churning out listicles on handbags and death, dying might not be that bad after all. - DID I ALSO MENTION THAT THIS LADY’S HUMOUR AND SASS WAS ON POINT? If you can’t already tell, I kind of LOVED this book. The only thing that I didn’t like – and the thing that’s stopping me from giving this book a five star rating is the flashback scenes to Avantika’s childhood. I felt like the writing suddenly turned a little awkward, and I just didn’t enjoy the scenes as much as I did with the present day ones. All in all, Swear You Won’t Tell? 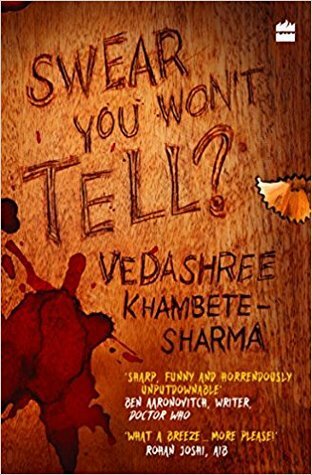 Is a rambunctious, snarky witty little book with a true whodunit element that will leave you craving more. 4.5 stars. 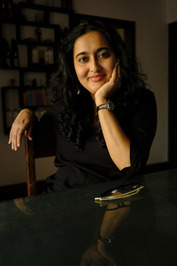 Vedashree Khambete-Sharma is an award-winning copywriter in her mid-thirties. For the past twelve years, she has peddled everything from moisturisers to magazines, like some kind of a one-woman corner shop. She has contributed to several websites and blogs and is the author of the widely unrenowned novel There May Be An Asterisk Involved. She lives in Mumbai with her husband, daughter and the niggling feeling that she should be writing more. Whar are som eof your favourite novels with INDIAN characters/ by Indian Authors? Which sassy literature character is your favourite?